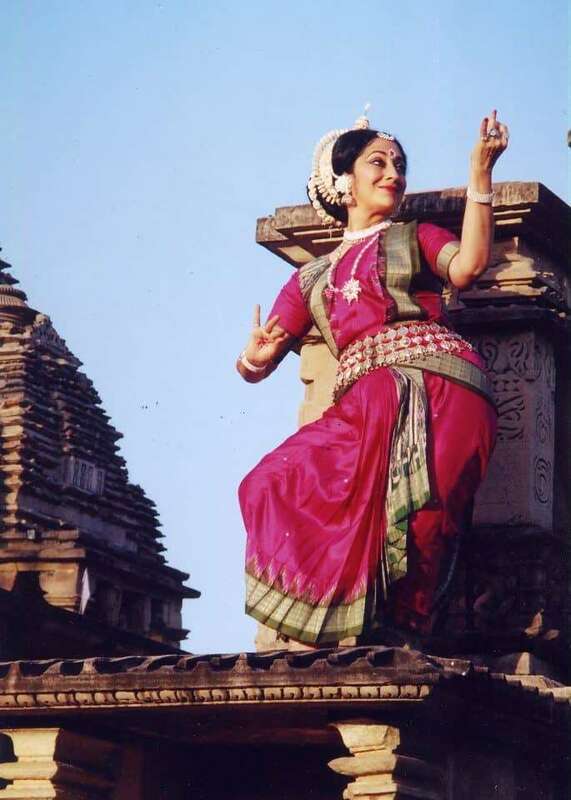 Padmavibhushan Guru Kelucharan Mohapatra said of Sharon Lowen in 1987, after accompanying her 22 performance Festival of India-USA tour, “She is now one of my five best disciples who I can unhesitatingly recommend to represent the Odissi dance form anywhere in the world. Sharon has mastered the tradition”. 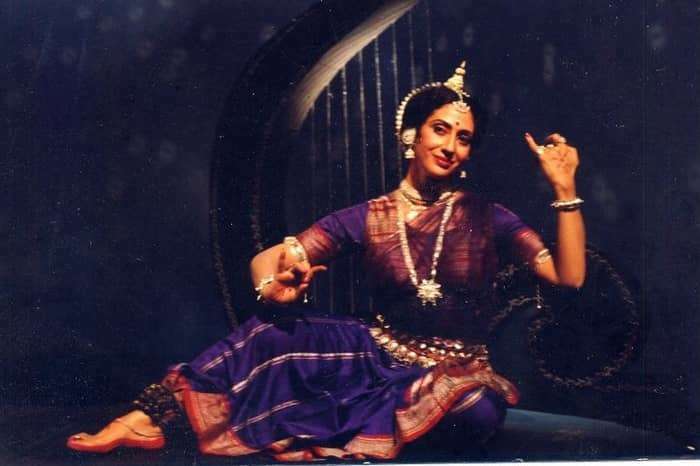 In the 30 years since that endorsement, Sharon Lowen’s outstanding contribution to Odissi and other classical performing arts of India has been pioneering, inspirational and profound. A Guru in her own right now, Sharon Lowen trained since 1975 by Guru Kelucharan Mohapatra, has performed and choreographed for film and television and presented hundreds of concerts throughout India, North America, Asia, Africa, U.K. and the Middle East. 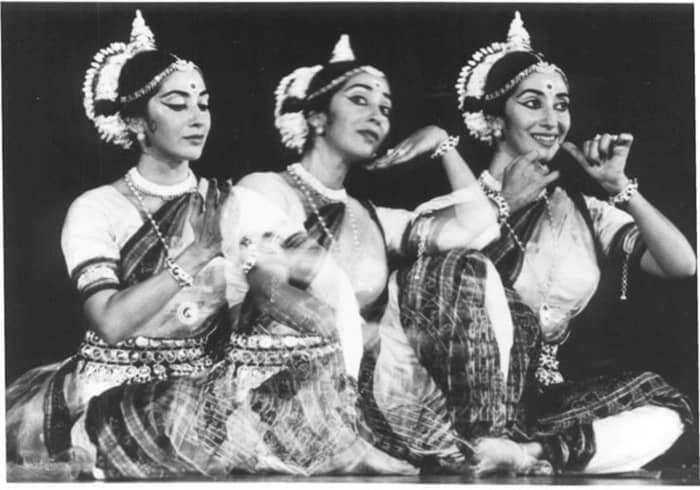 It was not easy to cross over from saying ‘I like to dance’ to saying, ‘I am a classical Indian performing artiste.’ Following my BA and MA in Humanities, Fine Arts, Asian Studies and Dance from the University of Michigan, I came to India in 1973-75 as a Fulbright scholar to continue Manipuri dance in Imphal and Delhi. In 1975, a workshop with Guru Kelucharan Mohapatra led to my lifelong commitment to this art. Training in Mayurbhanj Chhau from the same year under Guru Krushna Chandra Naik led him to present me in Baripada in 1976 to demonstrate that a woman could perform this traditionally all-male genre and that eventually lead to training of women in Mayurbhanj district today. 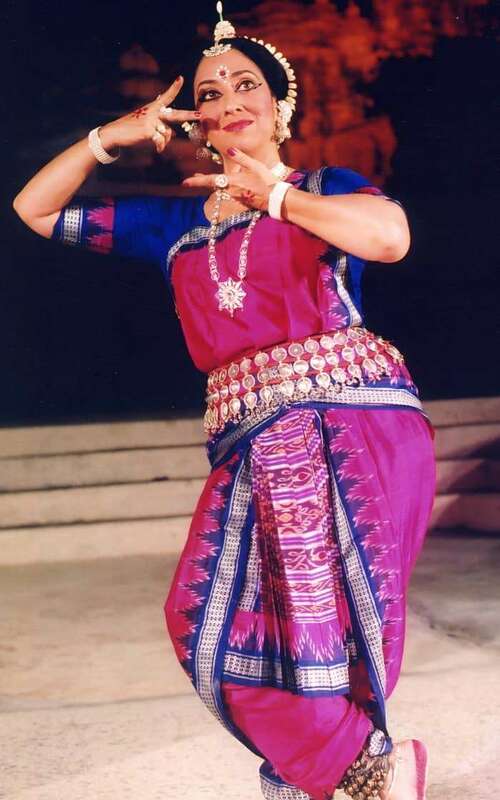 I also performed Chhau in North America at the 1978 Asian Dance Festival in Hawaii and later Los Angeles Olympic Arts Mask Festival to only later realize that I was the first woman soloist of Mayurbhanj Chhau to present the art outside of India ever! And rest as they say is history. Dancers find members of the audience arriving late, staying for only a few and then leaving for social engagements, particularly in Delhi where programs are by invitation rather than tickets,. There is pressure on artists to present something experimental, perhaps more for the sake of novelty rather than for artistically sound reasons. Does this mean that the traditional margam of compositions evolved over time no longer have value for modern audiences? I don’t believe this is so. Part of the responsibility rests on the artist. It may be that the dancer does not have the depth of involvement and understanding to connect and touch the audience. Witnessing a performance by great artists one does not hear any negative reactions to a well-known repertoire that touches the souls of the audience. 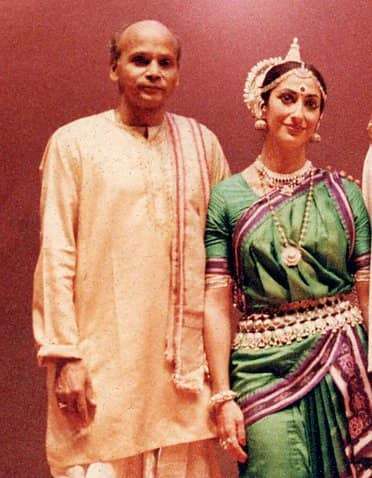 The many facets of Guruji’s contribution to Odissi dance and music would fill volumes in his many avatars as performing artist, choreographer, teacher, composer, costume and set designer and success in bringing this great art to audiences around India and internationally. 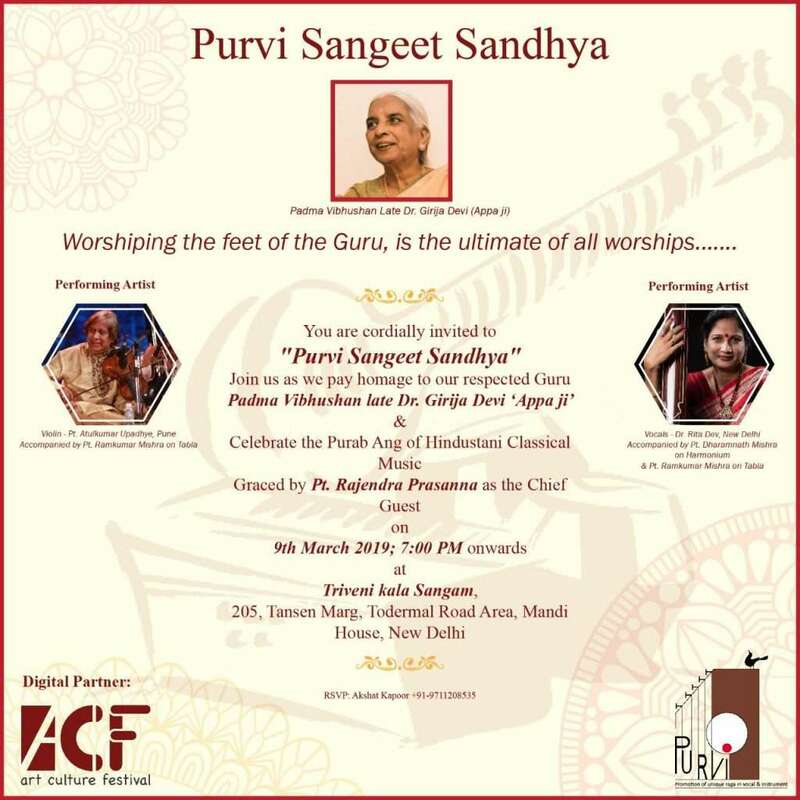 When I first saw Guruji teach a workshop at Triveni Kala Sangam in New Delhi during 1973-74, the congenial atmosphere and his personalized attention to each student impressed me. Guruji was incredibly generous from the beginning, teaching me Namami Mangalacharan, Batu Nritya, and Savari Pallavi within 3 months, insisting and facilitating a music recording and sending Kavita Shridharani, the talented daughter of Triveni’s director, to help me select a suitable Oriya sari for costume and to see that the tailor made it correctly. Without family or community networks for advice and assistance, it would have been a Herculean task to accomplish things like a music recording, let alone understanding the nuances of the dance costumes, ornaments and makeup with his generous guidance. Though I had already studied Manipuri for years, I still had no idea of how to obtain or wear a Manipuri phanek or Ras costume at the time Guruji had me make my first costume saying that it couldn’t be a white one to start with. Of course, more than the externals of music and costume, his willingness to teach me so much right from the beginning was generous beyond my belief. A young dance student once asked the legendary choreographer Agnes DeMIlle if she thought she should pursue a career in dance. Ms DeMille answered, “If you have to ask the question, then the answer is no”. A career in dance is for those with great passion and dedication who find their joy in the dance. My mother just celebrated her 101st birthday! The happiest person I know is my mother who, even at this age, has so much enthusiasm and interest in everything and everyone, that continues to touch and inspire and bring joy to virtually everyone she meets. When she used to return to the US from her annual 6 months in India, she brought thoughtful gifts for the postwoman, her doctors, even for my elder sister’s school friends and their children besides family. 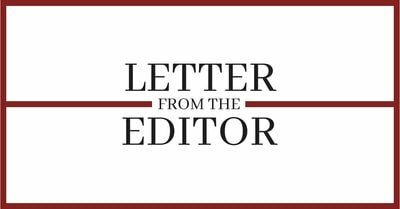 Her response to an exhibition of E. Alkazi’s collection from the colonial period endeared her to Alkazi ji, her views on socialism equally left Vinod Mehta always inquiring about her. She has a passion for life and learning at this age that I can’t dream of emulating, but am inspired by her example. When I took her along on a visit to a Deepalaya school several years ago, she saw a cross-eyed girl who reminded her of her own youth, when she couldn’t afford to get an operation till she was in her twenties, and immediately offered to cover the girl’s surgery which was very successful. After that, she brought little presents for the girl each year and visited Deepalya because she cared about the girl and not just “doing good”. The risks I’ve taken in life; jumping without a net and figuring out how to land on the way down, were perhaps more possible because I always had the support and inspiration of my mother. She taught me that passion for life, learning, and helping others, brings more than happiness, it brings joy.